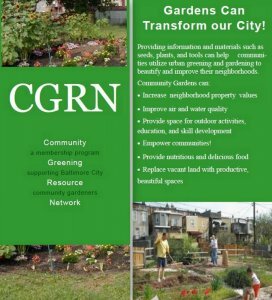 Sponsored by the Baltimore Parks & People Foundation, the Community Greening Resource Network provides support to individuals and organizations who want to start or maintain urban gardens and green spaces in the city of Baltimore. 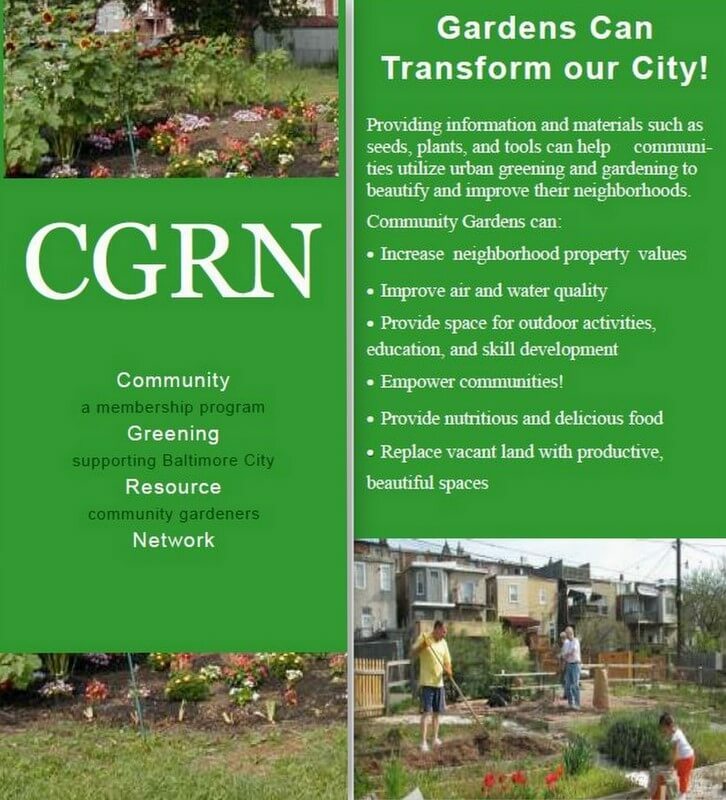 The Network “provides access to the materials, resources, education, and connections gardens need to have a successful and sustainable green space.” It also ameliorates the difficulty of finding reliable funding for community green spaces, since many of Baltimore’s community gardens grow in alleyways and vacant lots and are maintained by volunteers. Urban gardens can revitalize neighborhoods, provide access to fresh fruits and vegetables, improve air and water quality, sequester carbon, and provide opportunities for outdoor activities and education.